In the wake of the given information regarding the transactions of the taxpayer, the objective is to consult the taxpayer (client) for taxation consequences on the proceeds received from the liquidation of the assets (block of vacant land, antique bed, painting, shares and violin). The imperative conclusion can be made based on the information that client does not involve herself in any asset trading business activities for deriving the income from ordinary sources. 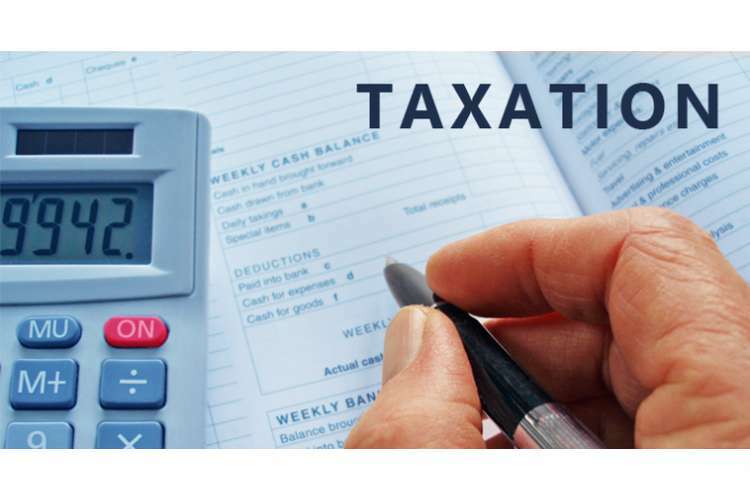 Hence, the discussion of taxation implication would be restricted to only capital budgeting gains or capital losses realisation from the sale of asset. As a result, the asset sale proceeds would be analysed and the Capital Gains Tax (CGT) implication would be discussed based on the potential capital gains/losses. The initial step is to test whether the respective asset is of the taxpayer is pre-CGT asset or not. This can be easily ascertained through the date of buying of the asset by the concerned taxpayer. When the date is prior to September 20, 1985, then CGT liability is exempted as defined in s. 149 (10), ITAA 1997 (Austlii, 2018 a). The taxpayer has bought the block of vacant land after the threshold date (September 20, 1985) and thus, the block of land asset disposal is not categorised as disposal of a pre-CGT asset. Thereby, the capital proceeds would be taken for capital gains/losses computation and then for CGT implications (Wilmot, 2014). The second step is to check that sale of capital asset is a CGT event or not as per the underlying provisions of s. 104-5, ITAA 1997. It is considered an important aspect because the exact formula for deriving the capital gains/losses from the sale would be selected based on the type of CGT event. The sale of land block is A1 CGT event and therefore, the relevant formula comprises derived income from sale and the cost base of asset (Wilmot, 2014). The cost base of the asset includes five cost or capital expenditures which are highlighted below as per s.110-25, ITAA 1997 (Austlii, 2018 b). The capital losses incurred in previous years which are remained unsettled would now be compensated with the derived capital gains under s. 102 (5), ITAA 1997 (Sadiq, et.al., 2015). Further, if taxpayer does not receive any capital gains then the previous year’s capital losses will again be forwarded to next year. Taxpayer has unsettled capital losses of $7000 which will be settled from the derived capital gains. At last, the net capital gains after balancing the previous capital losses will be held liable for 50% concession for CGT consequences as per s.115 (25), ITAA 1997 only when the capital gains are long term (Wilmot, 2014). It can easily be ensured through the total holding period of the asset which must be greater than one year so as to conclude that capital gains are long term. If the asset holding period is shorter than one year then the capital gains are short term and concession would not be applied. The holding period for land asset is more than 1 year and hence, the long term capital gains would be subjected to 50% concessions (Barkoczy, 2017). A confusing aspect of the given case is that the contract enactment for the sale of land has been done in year 2017/18 while the payment for the same will be received in year 2018/19 (Sadiq, et.al., 2015). It implies that taxpayer has signed the contract for liquidation of the asset but not received the income for land. In this regards, TR 94/29 will be an imperative tax ruling that represents that proceeds will be realised for capital gains/loss and then, CGT implication irrespective of the issue that taxpayer will receive the proceeds in 2018/19 while she enacted the contract in 2017/18 (ATO, 1994). Based on the above discussion, it would be fair to make the decision that land block sale would be taken into account for finding the taxable capital gains. The initial step is to test whether the antique bed of the taxpayer is pre-CGT asset or not. This can easily be ascertained through the date of buying of the antique bed by the concerned taxpayer. When the acquisition date is prior to September 20, 1985, then CGT liability is exempted as defined in s. 149 (10), ITAA 1997 (Austlii, 2018 a). The taxpayer has bought it after the threshold date (September 20, 1985) and thus, the block of land asset disposal is not categorised as disposal of a pre-CGT asset. Thereby, the capital proceeds would be taken for capital gains/losses computation and then for CGT implications. The second step is to check that sale of antique bed is CGT event or not as per the underlying provisions of s. 104-5, ITAA 1997. It is considered an important aspect because the exact formula for deriving the capital gains/losses from the disposal would be selected based on the type of CGT event. The sale of antique item is A1 CGT event and therefore, the relevant formula comprises derived income from sale and the cost base of asset. One of the essential parameter for the case of antique bed is that the capital losses or gains will only be considered for CGT when the buying cost which has been paid by the concerned taxpayer is above $500 (s. 118-10 ITAA 1997) (Nethercott, Richardson and Devos, 2016). This condition is true for collectable and hence applicable for antique item because antique items are considered as collectables for CGT purposes. Taxpayer buys the antique bed (Collectable) for $3,500 which shows that condition is satisfied and CGT liability will be raised on taxpayer. Further, taxpayer has not sold the antique bed and hence no sale proceeds have been received. However, the antique bed is disposed because the bed is stolen by someone and taxpayer has received the claim amount from insurance company which would be considered as sale proceeds from disposal of bed. Further, the capital gains/losses will liable for 50% concession as the claim amount would be categorised as long term capital gains because she has holding period of the bed above than 1 year. When the buying date is prior to September 20, 1985, then CGT liability is exempted as per 149 (10), ITAA 1997 (Austlii, 2018 a). The taxpayer purchases painting on May 1, 1985 which refers that buying date is prior to September 1, 1985. It is clearly evident that the painting is a pre-CGT asset (Sadiq, et.al., 2015). Therefore, CGT liability will be exempted on taxpayer on corporate account of selling of the painting. It can be said based on the buying date of all the four shares of the taxpayer that neither of the shares belong to pre-CGT asset because the buying date is after September 20, 1985 as per 149(10), ITAA 1997 and hence, CGT will be applicable on the capital gains/losses (Nethercott, Richardson and Devos, 2016). Moreover, the sale of shares is CGT event of A1 category (Austlii, 2018 a). Therefore, the cost base of share for each of the given case would be computed. It is apparent that taxpayer holds Common Bank, PHB Iron and Yung Kids Learning shares for more than 1 year and concession of 50% will be applied on the capital gains/losses whereby, the shares of Share Built Ltd is short term assets and 50% concession is not applied on the capital gains derived from this shares under s. 115 (25), ITAA 1997 (Nethercott, Richardson and Devos, 2016). The key facts regarding this asset have been analysed and can be concluded that violin does not belong to antique item and is more likely to be an asset of the person use of the taxpayer. The supportive factual statements are highlighted below. 1. She plays it quite frequently driven by drive to entertain herself. 2. She has keen interest in playing violin and also possesses necessary skills. It is evident from the above that violin is personal use asset and therefore, the pre-requisite condition for treating the personal use asset liquidation is that it must be bought for above than $10,000 (s. 108-20(1) ITAA 1997) (Woellner, 2017). Taxpayer has bought the violin only for $5,500 which indicates that respective personal use asset of taxpayer does not complete the pre-requisite condition necessary for the CGT application and hence, CGT will be exempted for the capital gains/losses resulted from liquidation of the violin. A. Fringe benefits are personal usage benefits extended by employer to employee. The fringe benefits are special type of benefits because it results tax liability on employer which is referred as Fringe Benefits Tax liability (FBT). Furthermore, the employee who uses the fringe benefits does not have any FBT liability as defined in Fringe Benefits Tax Assessment Act 1986 (Hodgson,Mortimer and Butler, 2016). Fringe benefits tax implication is quite different from other tax treatments because the employee may derive assessable income from the benefits and as a result of this source of income of the employee the employer may get tax deductions (Woellner, 2017). There are host of fringe benefits that the employer may provide to employee. The relevant fringe benefits in the current context are listed below. The objective here is to determine the FBT liability of employer and relevant tax deduction consequences that may arise based on the realisation of the benefits on behalf of the employee. 1. Seciton 7, FBTAA 1986 defines that car fringe benefit has been issued to employee when the employer has decided to provide a car to employee for his/her own work (Krever, 2017). Further, if the employer has allowed the employee to use the office owned car for personal work, then also car fringe benefits has been extended. The ambit of car fringe benefits would be determined based on the total days for which the car is remained allowed by the taxpayer for personal work especially when the employee has also used the car for professional work as instructed by the employer (Reuters, 2017). 2. Further, the nature of expenses which is being paid by employer for the action of minor repairing is considered as capital expenses and will be deducted from the buying price of the car so as to determine the capital value (Deutsch, et.al., 2015). 3. Moreover, the car which is parked at the airport parking of the employee then also the car would be termed as held present for use and would contribute in the available days. Further, it may be assumed that employee has not used the car and left it at parking premises and went overseas then also the car will be said available for employee irrespective of the aspect that employee has not used it. In this regards, car will not be said available for personal work when the car is sent to garage for major repairing. However, it is not true for the scenario when the car is sent to garage only for minor repairing (Gilders, et. al., 2015). Rapid Heat (works in the capacity of the employer) issues car to Jasmine (works in the capacity of employee) for personal utilization. Allowing a car for personal work to employee is mainly a car fringe benefits and the FBT liability would be computed as shown below. The key essentials are described below based on the above underlying factors (Barkoczy, 2017). Loan should be provided at the benchmark rate which is 5.25% per annum for FY2018 as per TD 2017/3 as defined by the Reserve Bank of Australia. Hence, when any employer provides loan to their employee below than the above mentioned rate, then as per s. 16 FBTAA, it is akin to providing loan fringe benefits (ATO, 2017). It is because loan fringe benefits is a personal interest benefit on the part of the employee because if employee is receiving a loan fringe benefits then the total interest amount liability will be decreased for the employee (Barkoczy, 2017). Rapid Heat is also providing loan fringe benefit to Jasmine as they have provided the loan at an interest rate of 4.25%. The 1% less interest rate for the loan is the clear notation of presence of loan fringe benefit because Jasmine has to pay comparatively less amount of interest payment for the loan. The saving of employee in the form of interest payment will be imperative factor to find the net FBT liability of Rapid Heat. The deduction is mainly depended on the way of realisation of the loan by the employee. If the employee is used it for income generation process then the tax deduction will be available on the loan as per s. 19, FBTAA 1986 (ATO, 2018). Whereby, if employee provides loan to their family member for the purpose of deriving income then the deduction is not available (Reuters, 2017). Jasmine has bought holiday home from $450,000 out of $500,000 and also, it has been assumed that she herself used the home for residence purpose and does not make any rent income by renting the home and hence, deduction will not be present for Rapid Heat. Similarly, when she has issues remaining $50,000 to husband for purchase shares, then no deduction is present for Rapid Heat despite that the shares may provide dividends because it has not been purchased by Jasmine. This benefit is given in the form of paying the personal nature expenses of the employee by employer. The main objective behind providing this benefit is to reduce the personal expenses of the employee and when the expenses in regards to the goods of the company are classified under internal expenses fringe benefit (Woellner, 2017). B. When she has not issued left $50,000 to husband for purchase shares then deduction is present for Rapid Heat as shares has been purchased by Jasmine only which would result in dividend income to her. The above deduction will be compensated against the FBT liability which then finally reduces the FBT liability of Rapid Heat for 2017/2018 (ATO, 2018). 7. Barkoczy, S. (2017) Foundation of Taxation Law 2017. 9th ed. Sydney: Oxford University Press. 8. Deutsch, R., Freizer, M., Fullerton, I., Hanley, P., and Snape, T. (2015) Australian tax handbook. 8th ed. Pymont: Thomson Reuters. 9. Gilders, F., Taylor, J., Walpole, M., Burton, M. and Ciro, T. (2016) Understanding taxation law 2016. 9th ed. Sydney: LexisNexis/Butterworths. 10. Hodgson, H., Mortimer, C. and Butler, J. (2016) Tax Questions and Answers 2016. 6th ed. Sydney: Thomson Reuters. 11. Krever, R. (2016) Australian Taxation Law Cases 2017. 2nd ed. Brisbane: THOMSON LAWBOOK Company. 12. Nethercott, L., Richardson, G., & Devos, K. (2016) Australian Taxation Study Manual 2016. 8th ed. Sydney: Oxford University Press. 13. Reuters, T. (2017) Australian Tax Legislation (2017). 4th ed. Sydney. THOMSON REUTERS. 14. Sadiq, K., Coleman, C., Hanegbi, R., Jogarajan, S., Krever, R., Obst, W., and Ting, A. (2015) Principles of Taxation Law 2015. 7th ed. Pymont: Thomson Reuters. 15. Wilmot, C. (2014) FBT Compliance guide. 6th ed. North Ryde: CCH Australia Limited. 16. Woellner, R., Barkoczy, S., Murphy, S. and Pinto, D. (2017). Australian Taxation Law Select Legislation and Commentary Curtin 2017. 2nd ed. Sydney: Oxford University Press Australia.